Tim Burns has achieved an ICLE Probate Law & Estate Planning Certificate which designates an individual as an authority in this field of law. 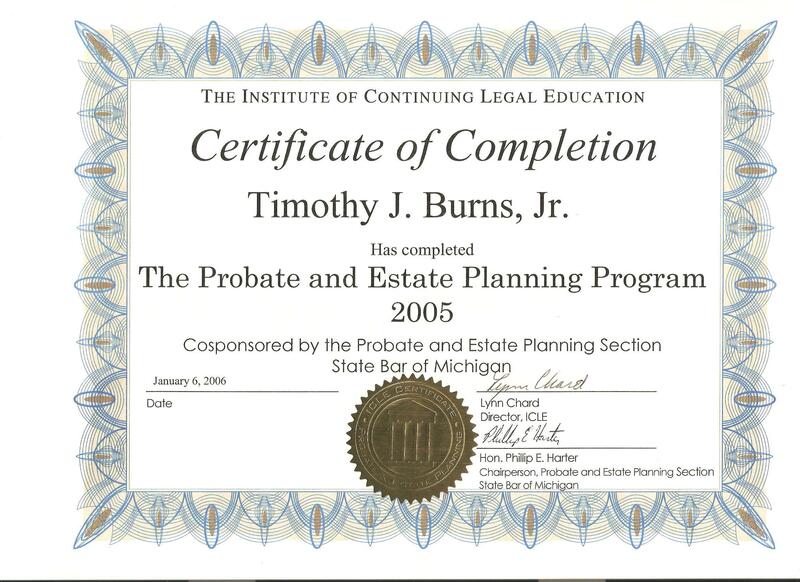 It must be renewed every three years by the Program’s sponsors the Probate and Estate Planning Section of the State Bar of Michigan and the Institute for Continuing Legal Education. 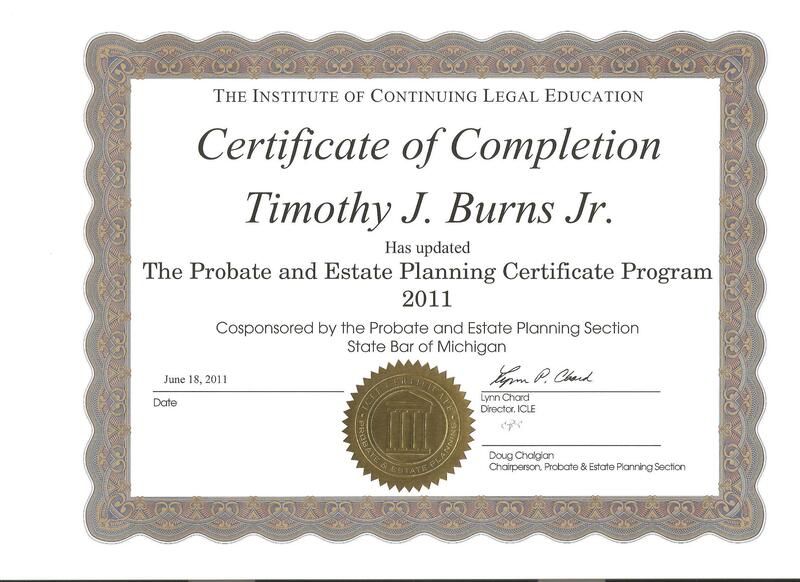 Tim Burns had his certification successfully renewed on June 18, 2011 which validates it through 2013.